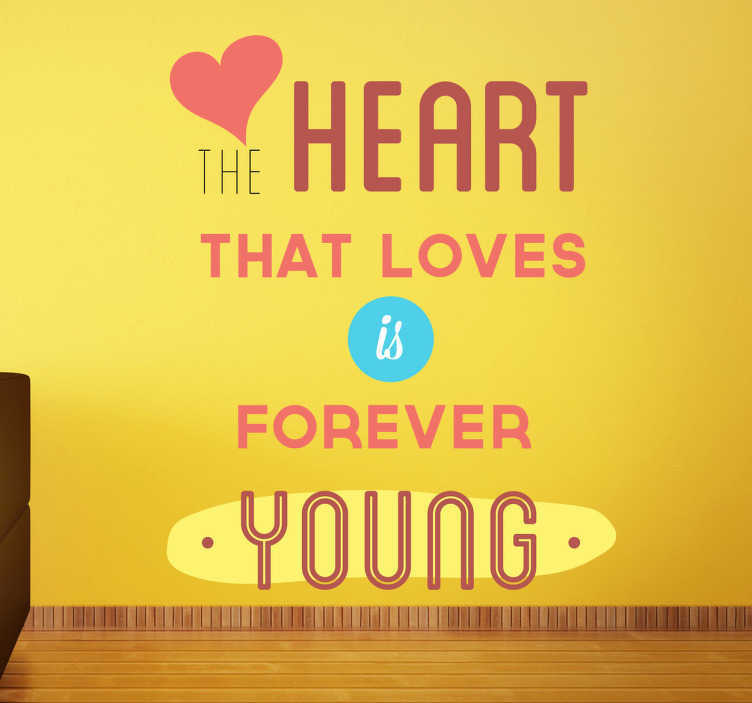 "The heart that loves is forever young" is a colourful text design from our collection of heart wall stickers. Fill your space with positivity and romance by applying this heart wall art decal on any smooth surface. You can also check our text designs for more quotes! This 'Young Heart' quote design is available in various sizes. Decals made from high quality vinyl, easy to apply and remove. Decorate walls, appliances, devices and more.